Der H: "Well, I don't think I have enough projects going on right now....lets start another!" 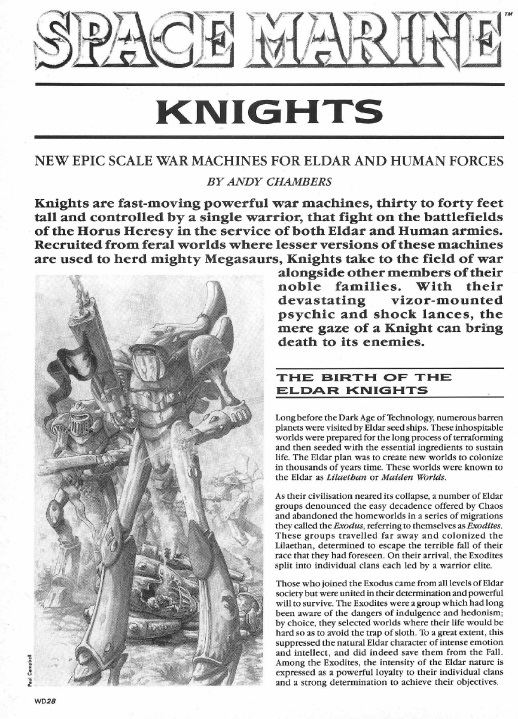 The rules are interesting, the fluff is great, and the focus on Eldar Knights is something different from the current Knight range! The yellow and purple scheme is...interesting...and the intensity of the colours does make one feel a little off. Clearly this is a Tyranid bioform, it looks almost as though it is pregnant, and the colour gives it away as a genestealer. 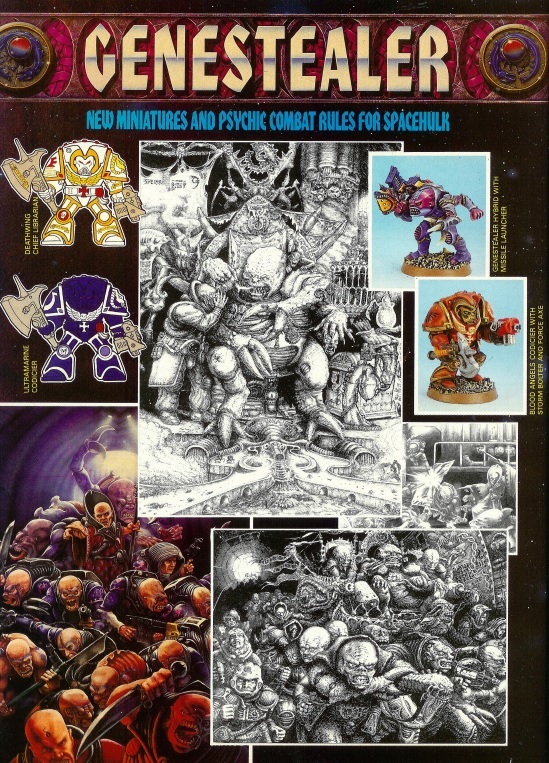 The same issue of White Dwarf includes the release of the Genestealer expansion for Space Hulk v1. So, why am I telling you all of this? Well, I have decided that our lost friends in House Mortimer need a bit more publicity. I have scores of old Tyranids from my childhood collection, a new set of Genestealer cultists from the Deathwatch Overkill box, and with Forgebane around the corner I have decided to merge them into one. The setting will include me love of Red Scorpions, Deathwatch, Inquisitors, Knights, Genestealer cults and the Tyranids. I'm aiming for an Anphelion project esque vibe. The Industrial/Mining world of Osterion II was long lost to the Imperium, and only rediscovered by a Mechanicum explorator fleet in early M31 (roughly 002.M31). The system contains 3 planets, Osterion I is a dead world and Osterion III is a gas giant surrounded by a number of moons. Osterion II is a dry, hot world, rich in minerals and ore. It was discovered during the early days of the Imperium, but never developed more than a mining outpost. During the age of strife the world received survivors of a lost colony fleet, and slowly grew in its isolation. It is at this time, that House Mortimer was formed.